Valentine’s Day is this week, and if you haven’t picked up something for your kids, then Hallmark’s Cupig and Until We Hug Again Bear are two great options. 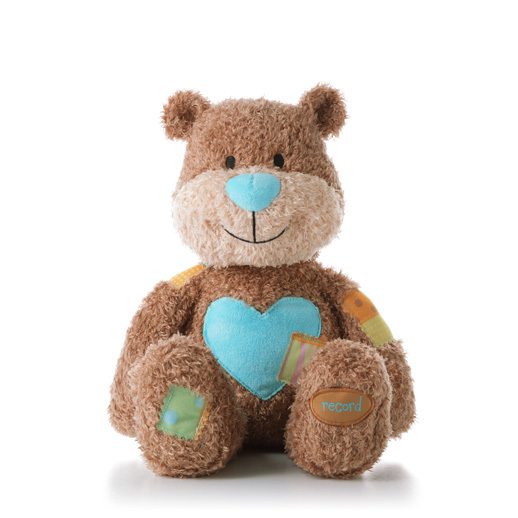 They’re cute, cuddly and heart-warming gifts that will make you and your child smile. 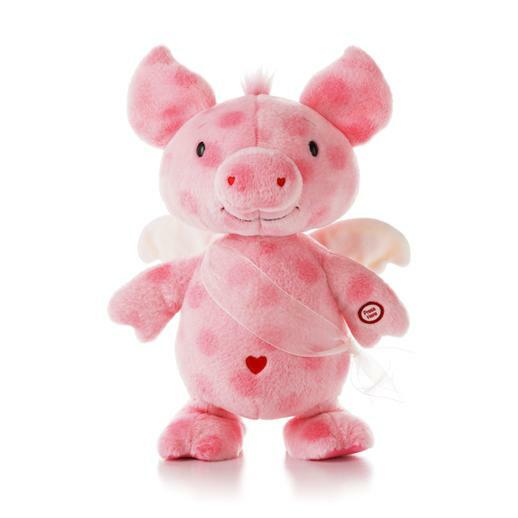 Cupig is part of their Valentine’s Day product line, and as the name suggests, he’s part pig and part cupid. There are little hearts on his nose and he’s got white wings on his back along with a little heart belly button. Press the button in his hand and he plays “Cupid Shuffle” and does a wiggly shuffle in time to the music. This is one that’s practically guaranteed to elicit giggles from your kids. If you’re looking for a more personalized cuddly gift, then try Until We Hug Again Bear. He’s ready for Valentine’s Day with a big heart stitched onto his tummy and an audio message that you record. You can say whatever you like as a 30-second message your child can play again and again. I love Until We Hug Again Bear because you can save your message by locking it in until you want to say something new to record and save whenever you choose. This means you can leave a message for your little one that fits the situation, maybe wishing them luck on a big test when you’re out of town. My kids fell in love with these when they saw them at our local Hallmark store. They worked with a couple of other kids to set an entire display of Cupigs dancing at once. My youngest, though, preferred the Until We Hug Again Bear. She wants one so she can hear my voice when I’m out of town and not miss me so much. Cupig ($32.95) is only available through Valentine’s Day but Until We Hug Again Bear ($29.95) is sticking around so you can pick him up anytime. My kids will be getting these for Valentine’s Day and I know it’ll put smiles on their faces.